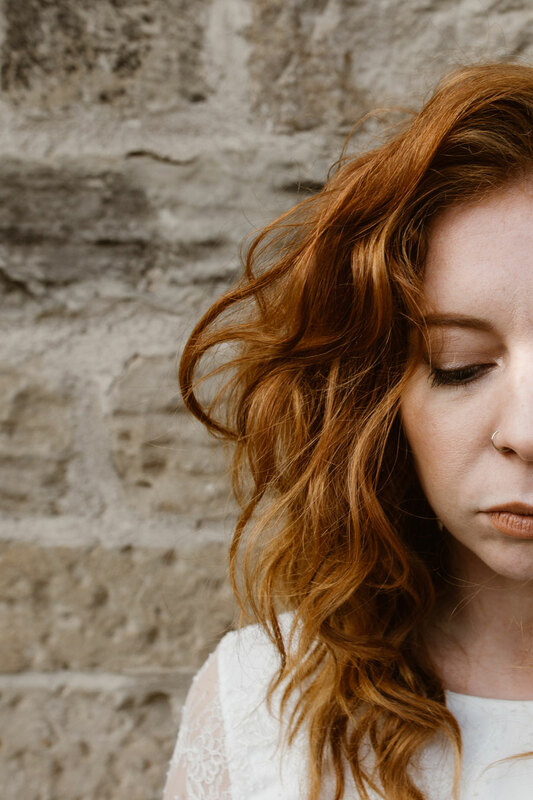 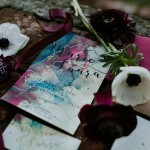 Words and Images by Agnes Black Photography. 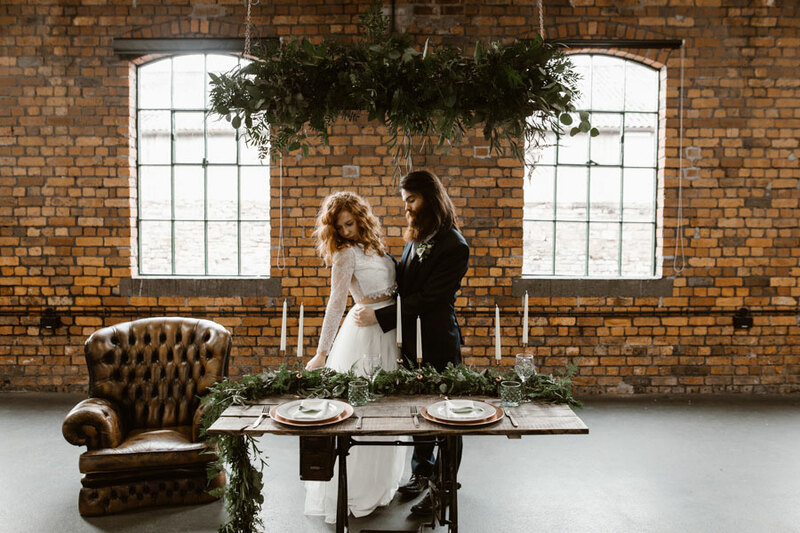 However, after chatting with Elinor, our wedding stylist and coordinator for the shoot, and Cath, the supremely talented florist behind ‘Sweetpea & Thyme’, we decided we wanted to create a fusion of the bohemian bride with the urban, inner city, chic bride and worked in partnership to organise a fashion-forward, inspirational shoot at Elsecar Heritage Centre. 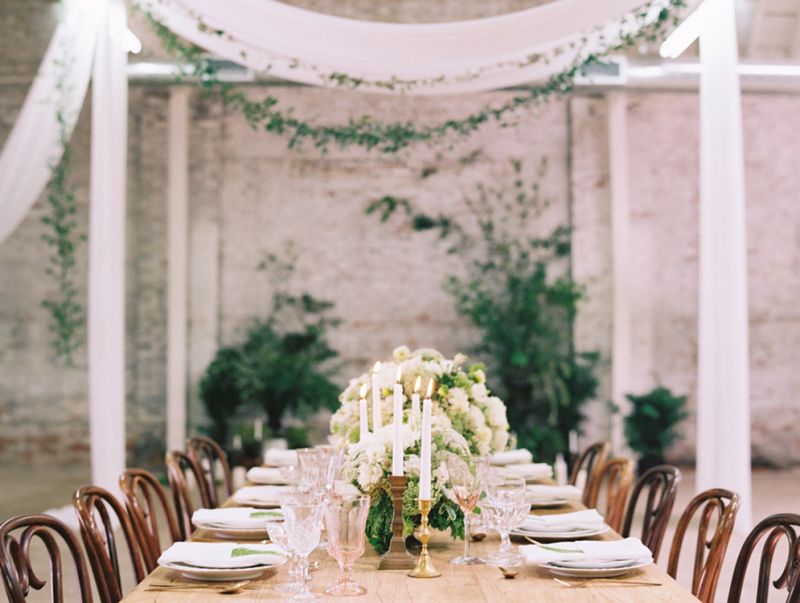 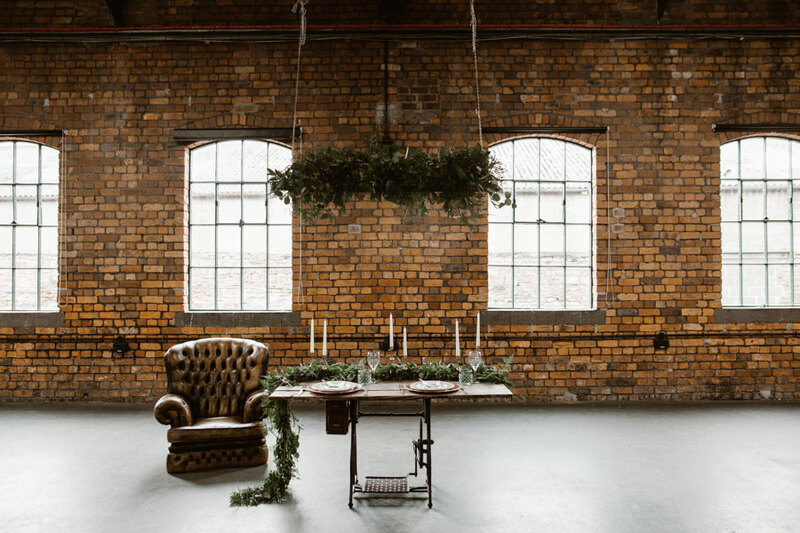 The gorgeous Ironworks provided our backdrop; a huge warehouse-style space that hosts large scale events and weddings. 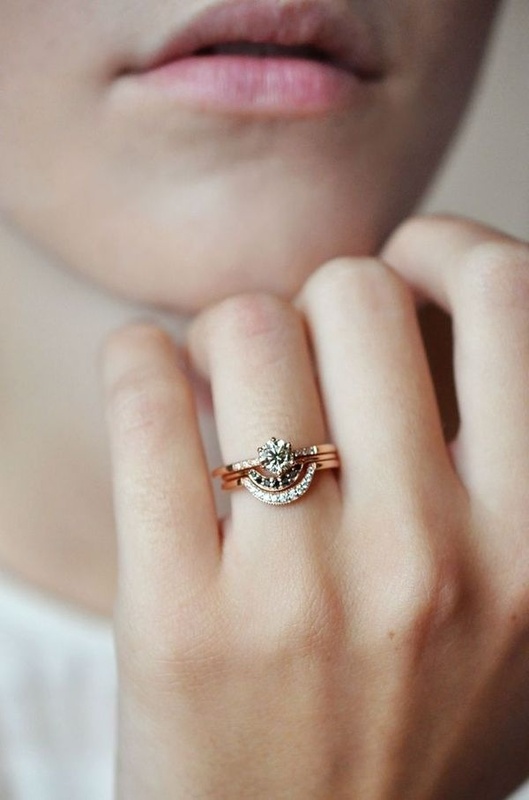 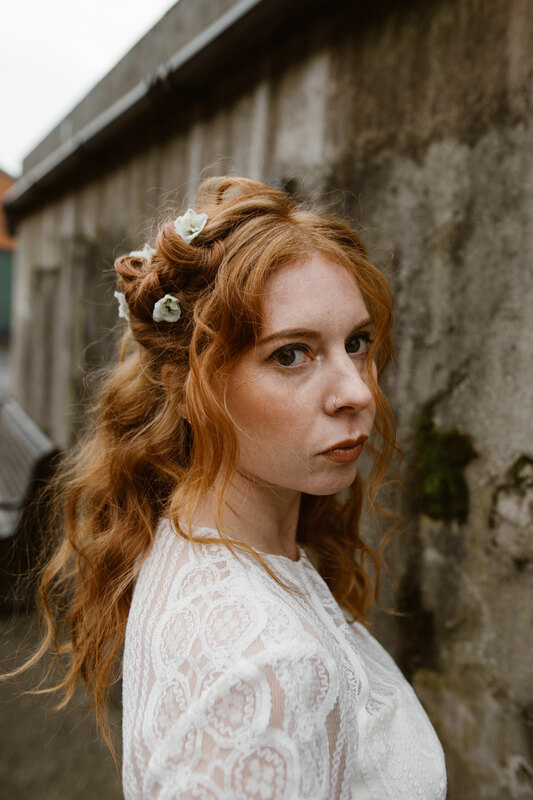 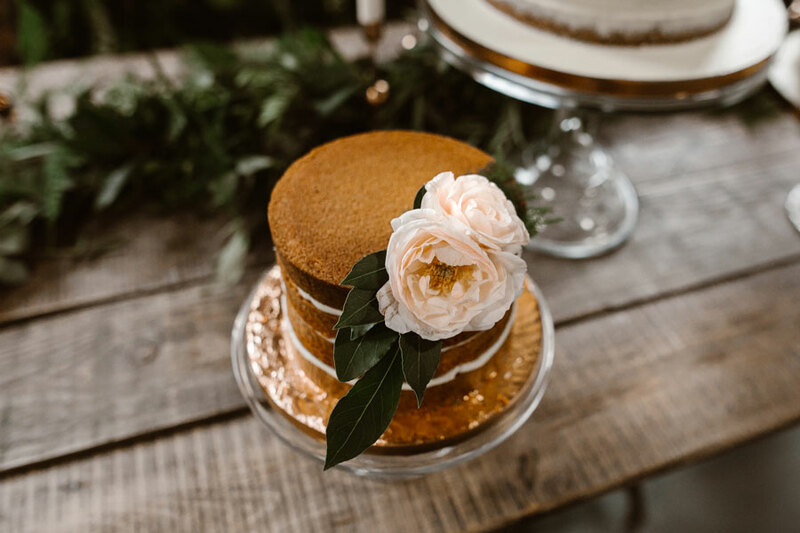 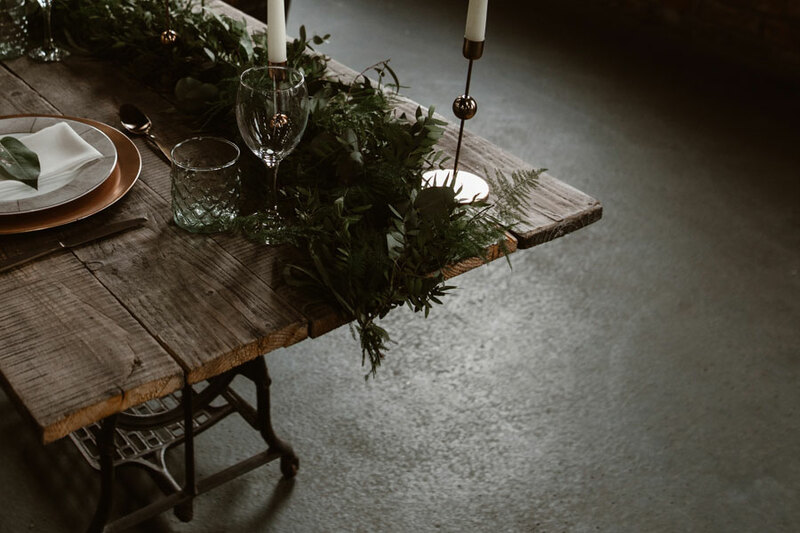 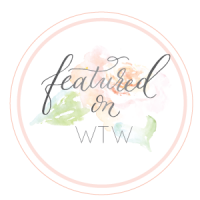 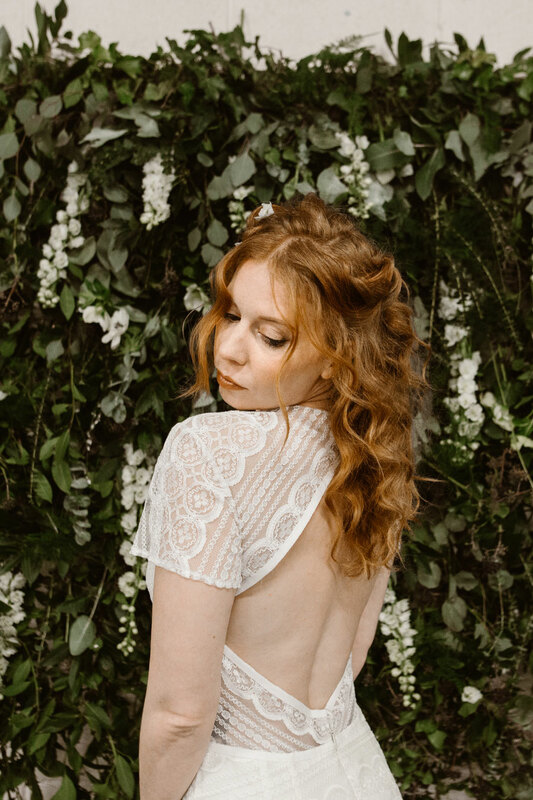 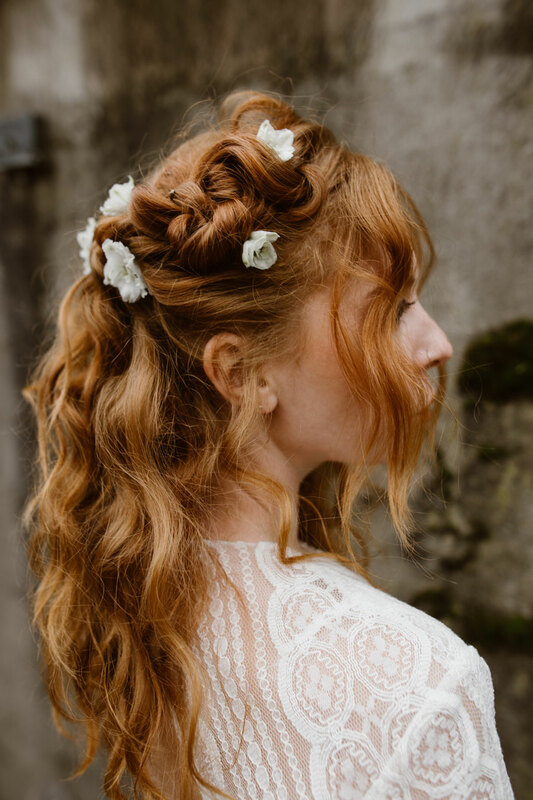 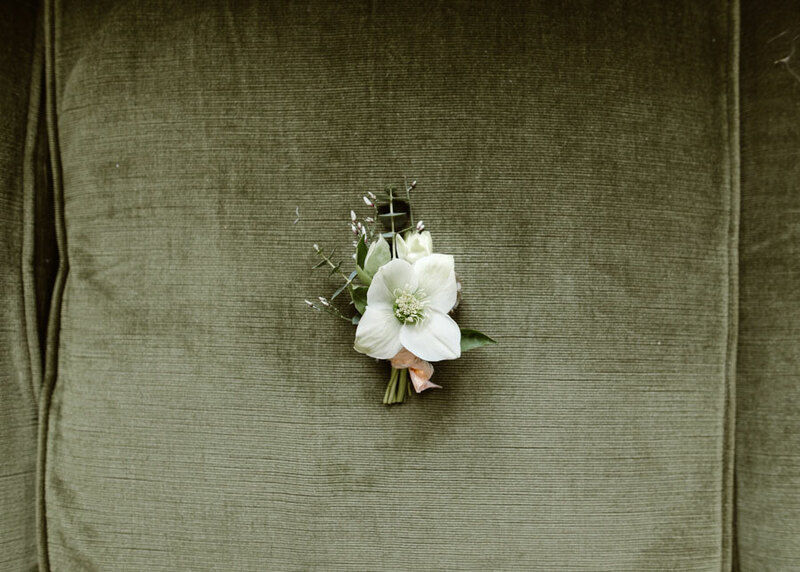 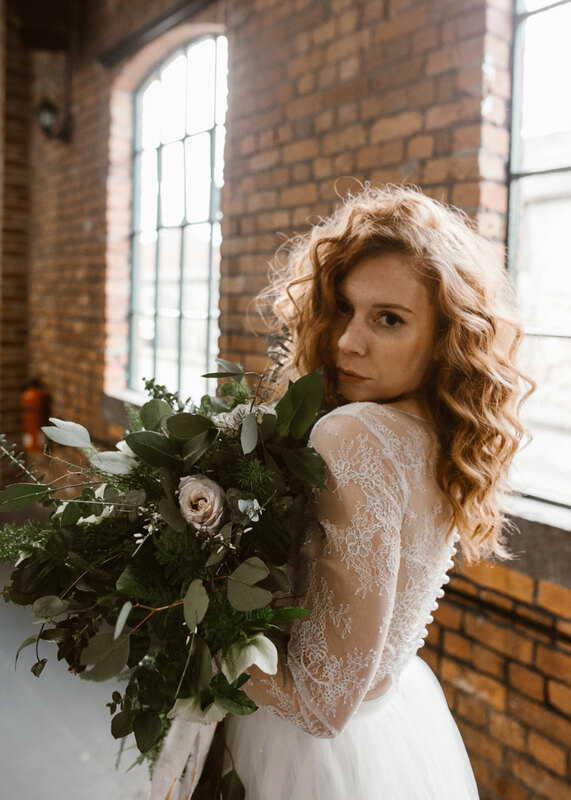 The Inspiration: We created a Pinterest board brimming with our ideas and wants for the shoot, and recognised a mutual trend of abundant rich greenery, touches of blush, whimsical dresses, flower crowns and copper accessories emerging. 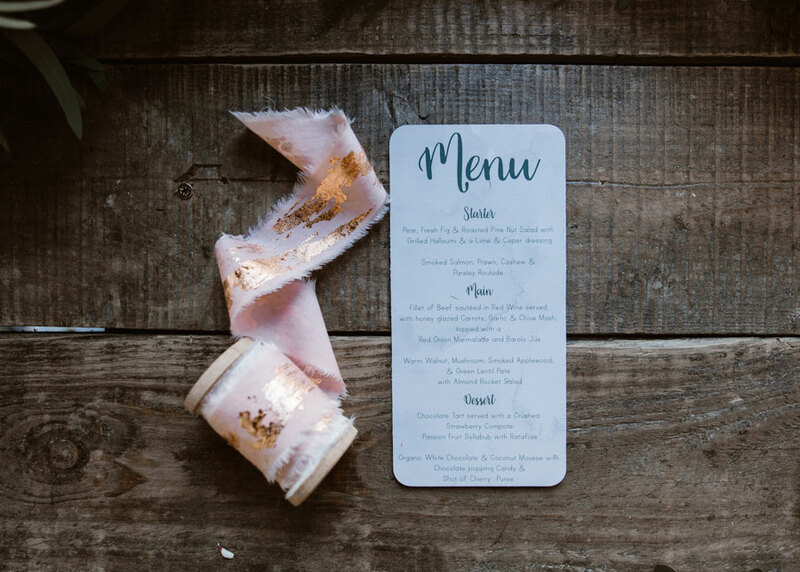 We curated the board following discussion and each sourced some incredible collaborators and decor to bring our collective vision to life. 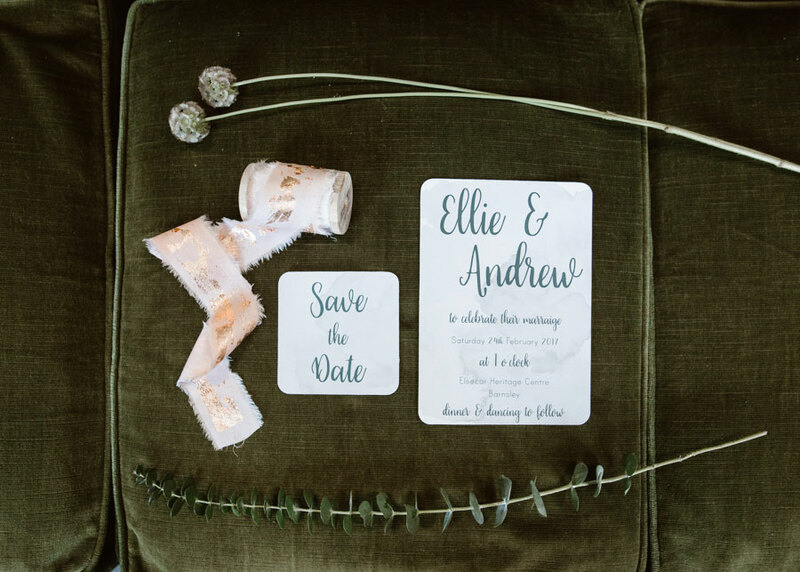 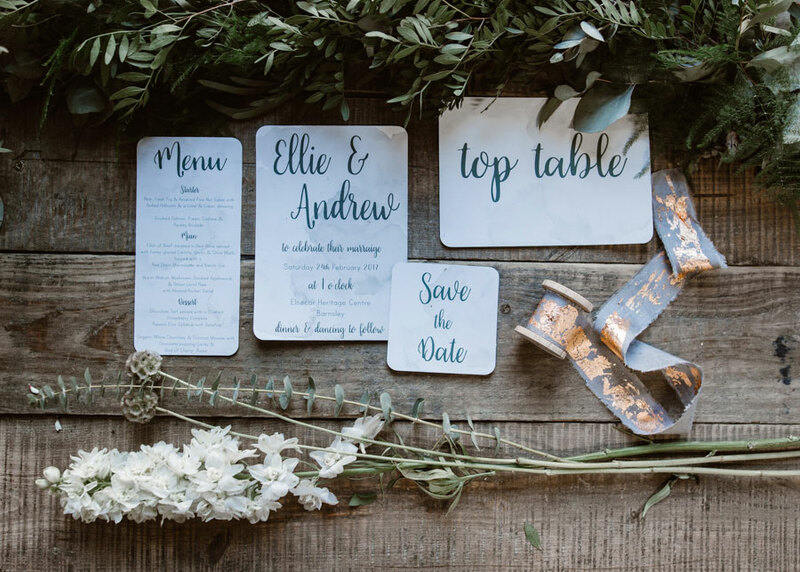 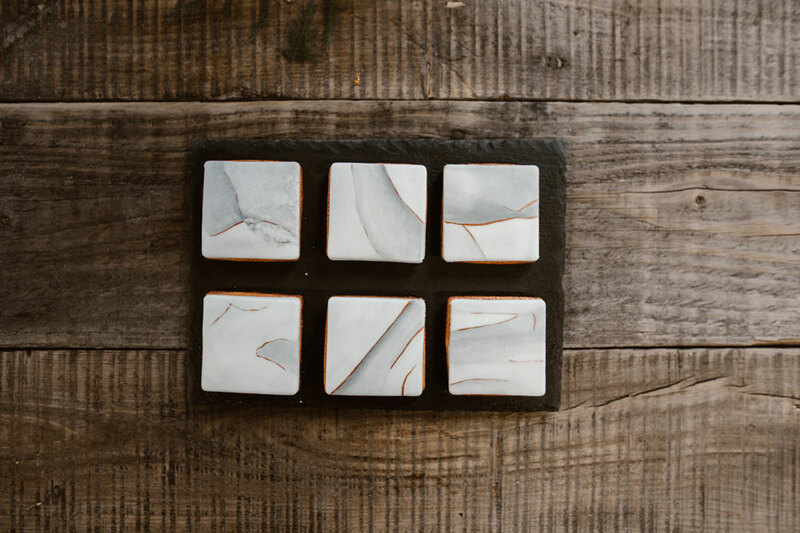 The Stationery: Amy Bailey created the invitation suite using a marbled watercolour grey effect, which tied in beautifully with the favours designed by Cherry Blossom Cakes. 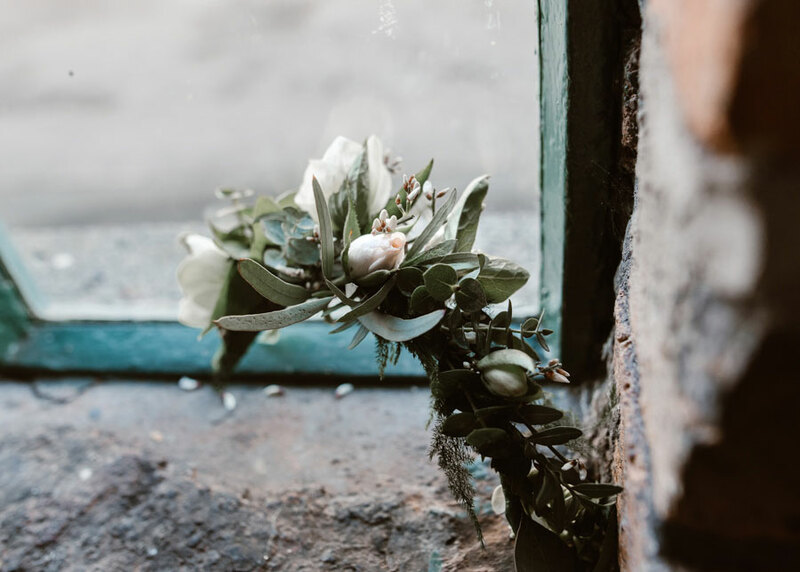 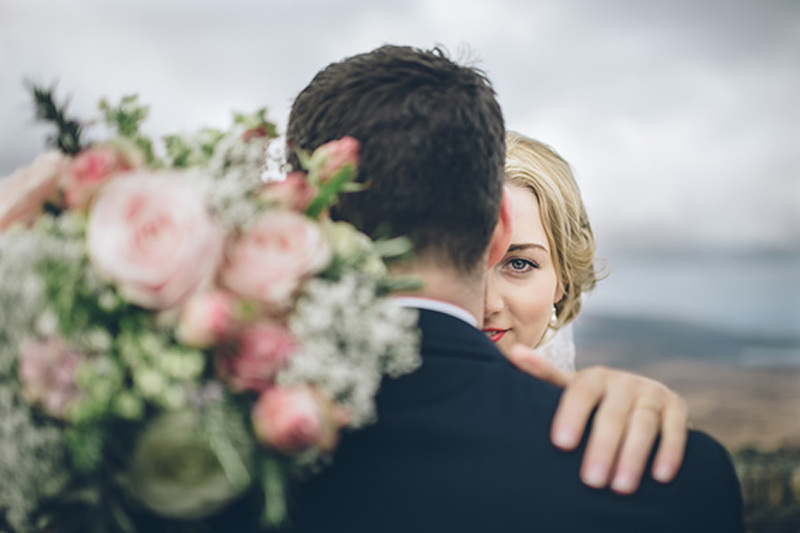 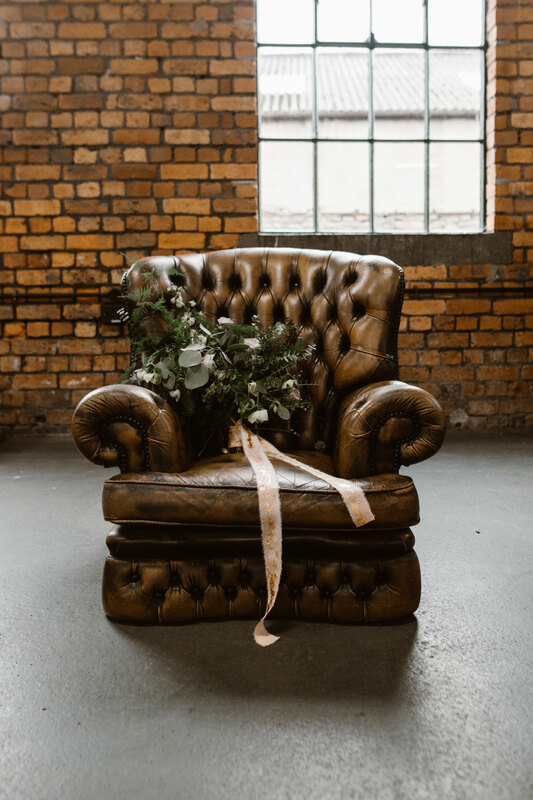 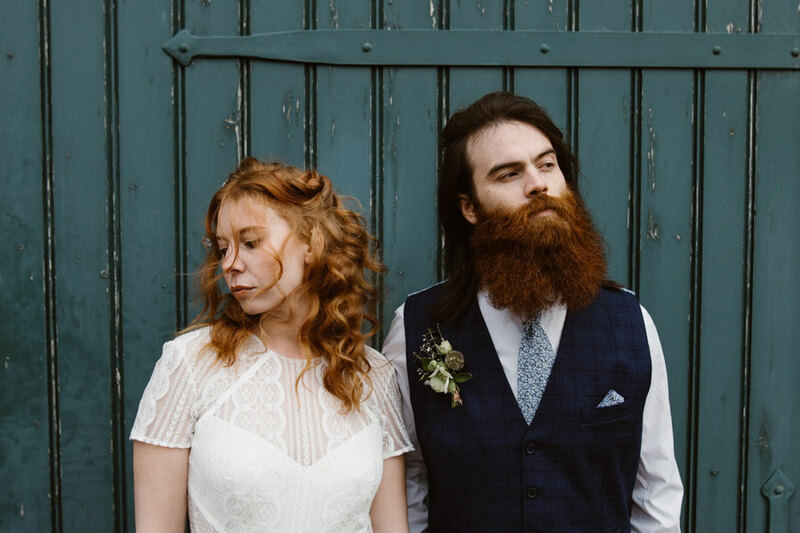 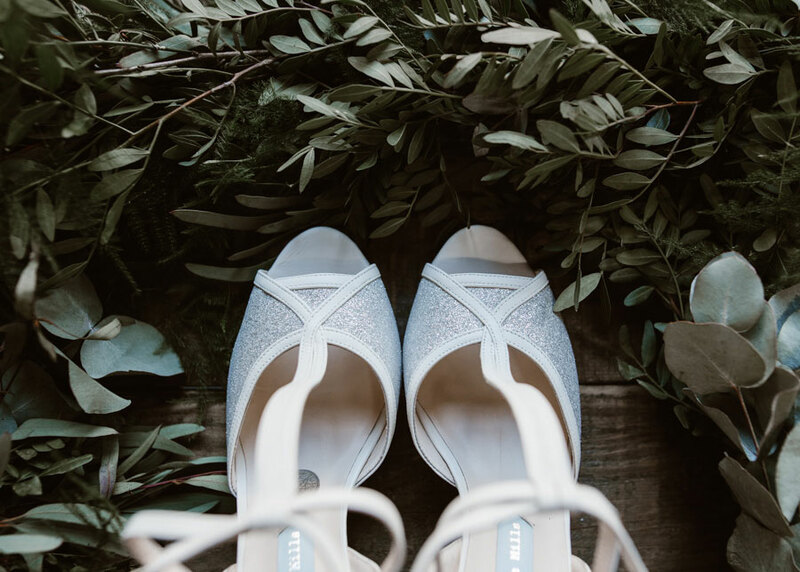 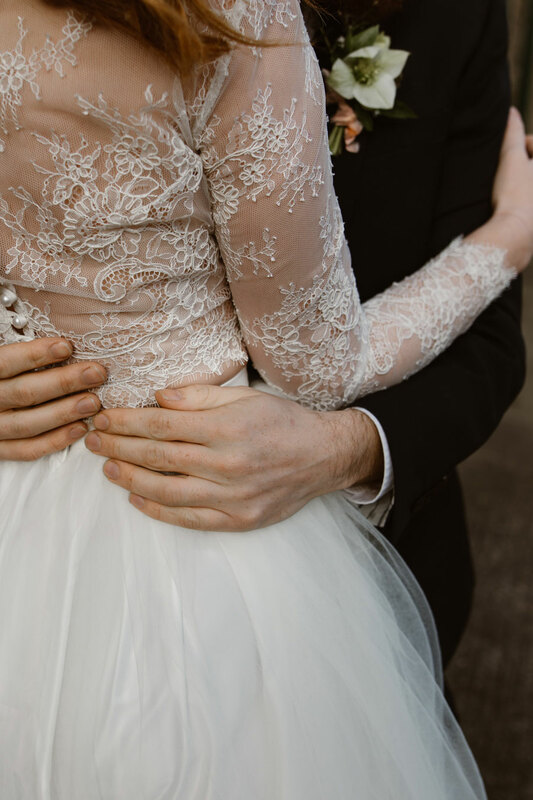 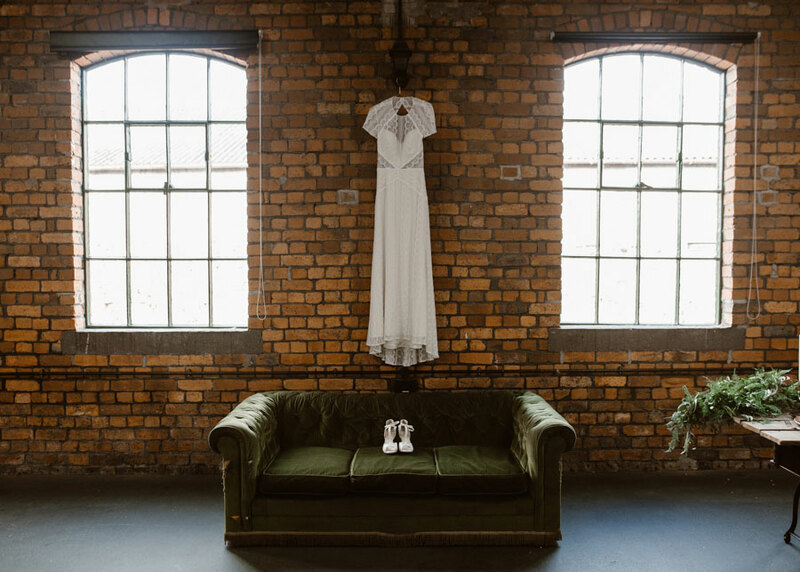 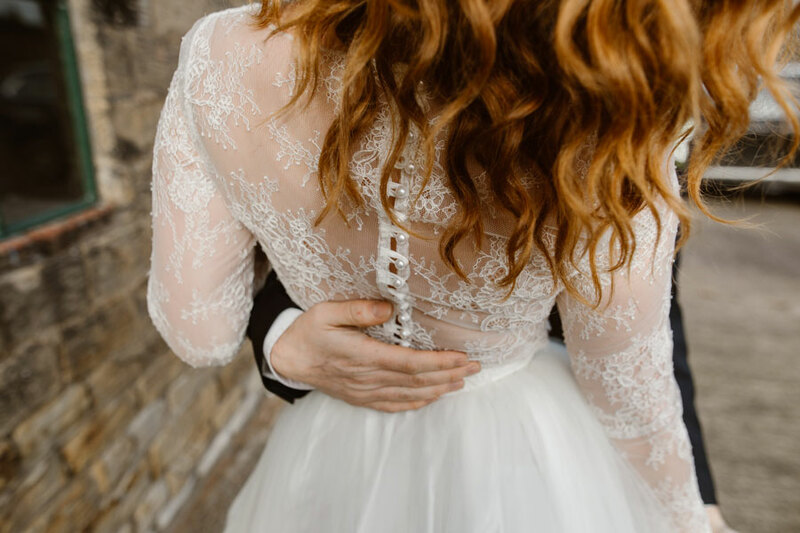 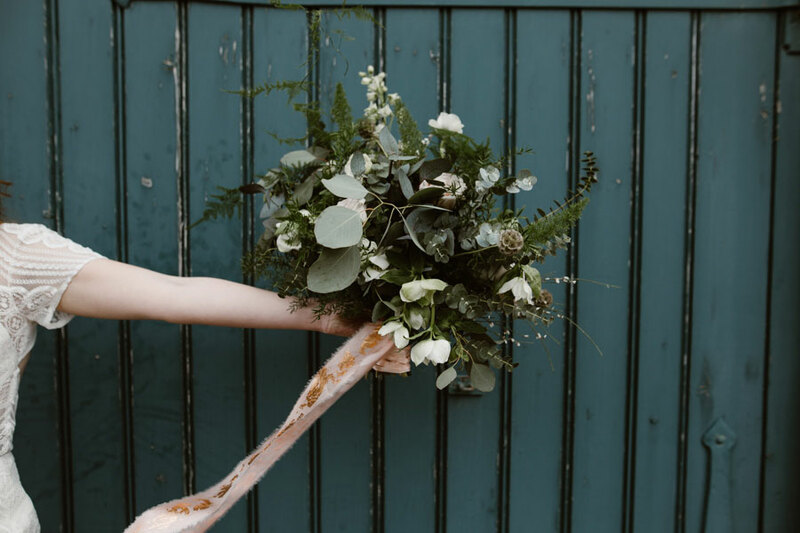 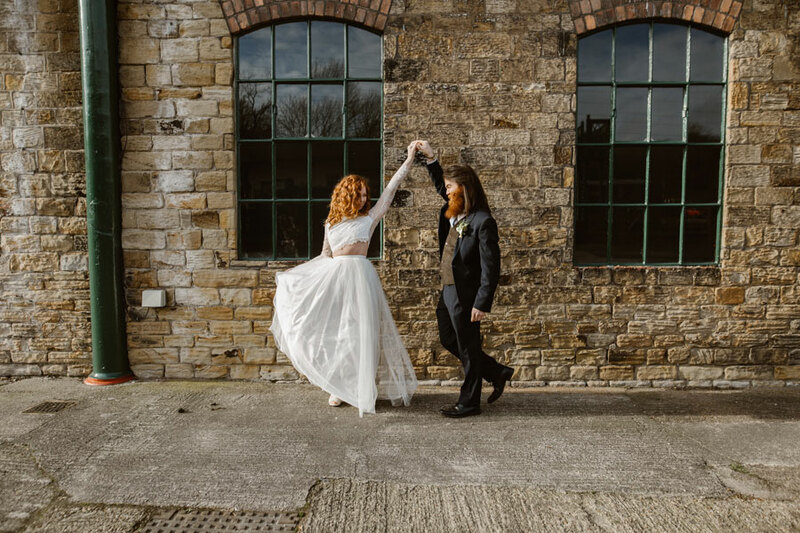 The Details: We had the coolest pieces of jewellery from Kate Gillilan and boho perfection in the form of the dress selection from The White Yard and KMR bridal, not to mention the dashing groom’s attire from Tweed & Groom. 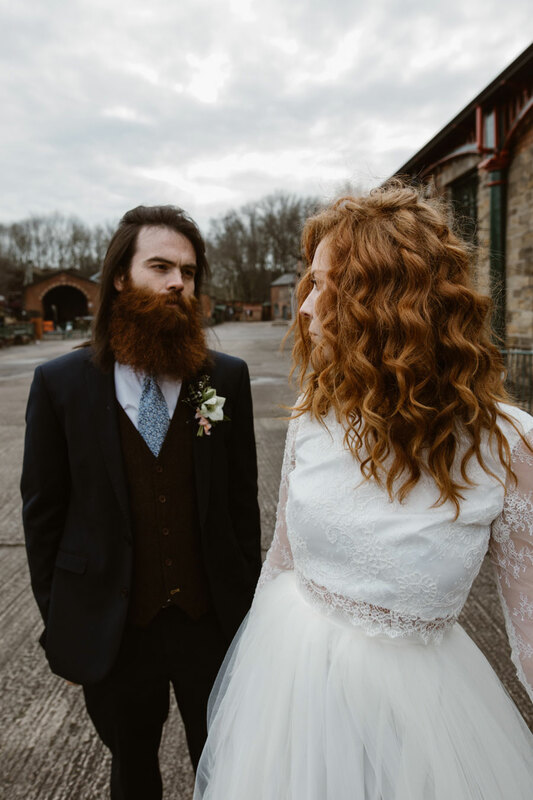 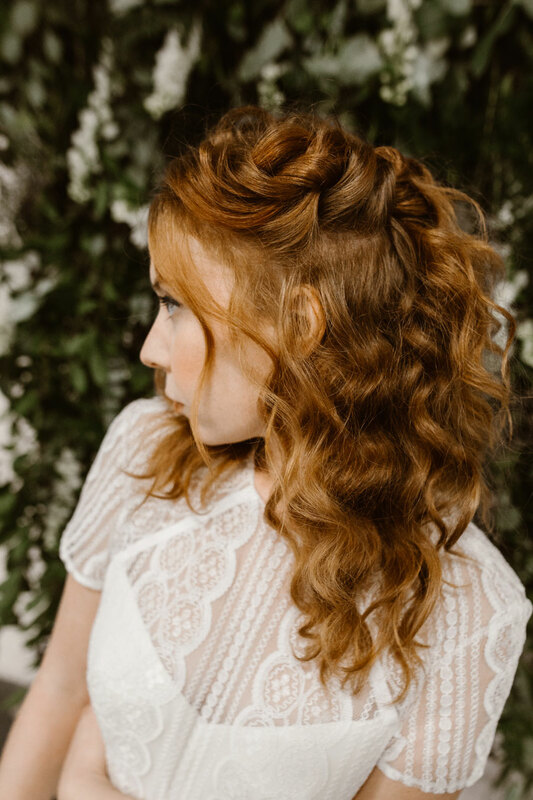 The award-winning Jenn Edwards hair and makeup team did an incredible job on both of our lovely models, creating a number of looks to complement the styling. 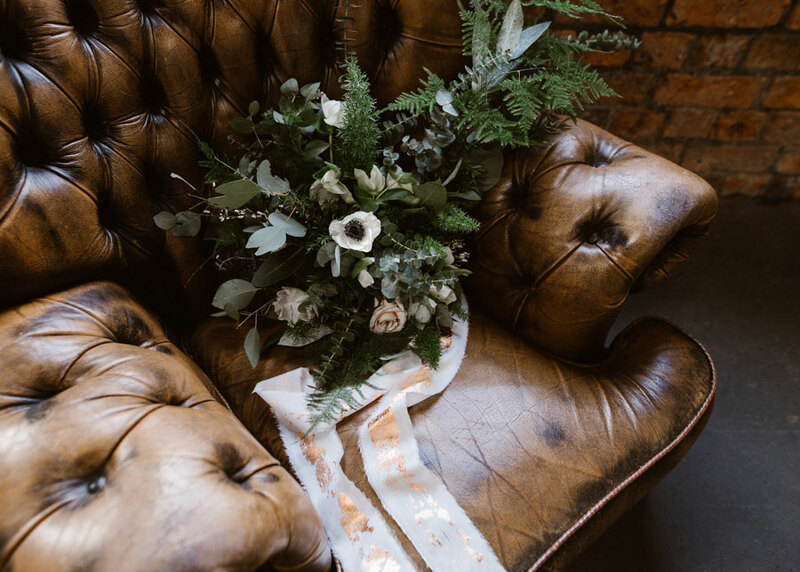 The Blooms: A wall of entwined leaves for a backdrop, rich green foliage suspended over a garland-laden rustic table, and a beautiful loose and flowing bouquet bursting with greenery, roses, anemones- all tied with stunning hand-dyed silk ribbons, embellished with copper leaf from Lancaster & Cornish. 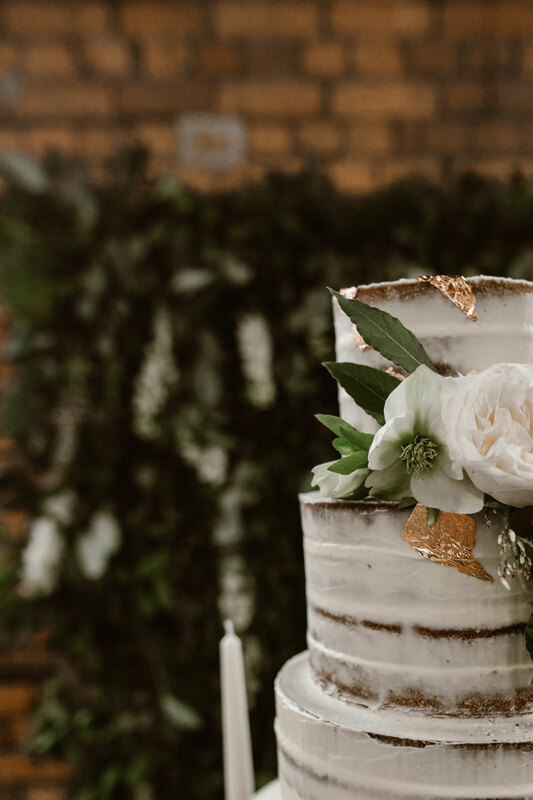 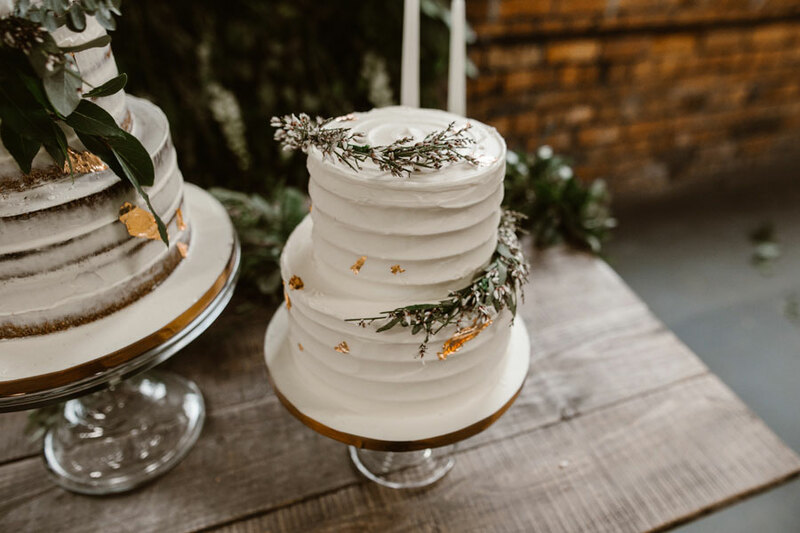 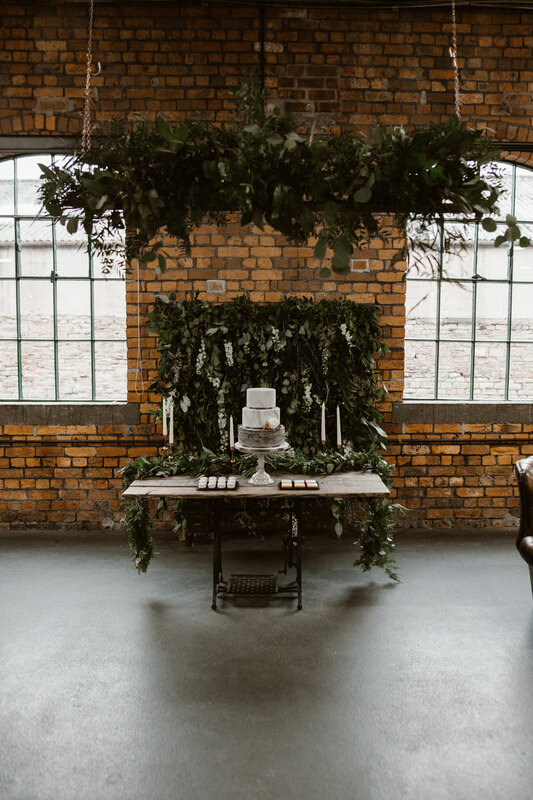 Sweetpea & Thyme really demonstrated their creative flair and attention to detail on this shoot, and their choice of lush green foliage really popped against the exposed red brickwork of the building. 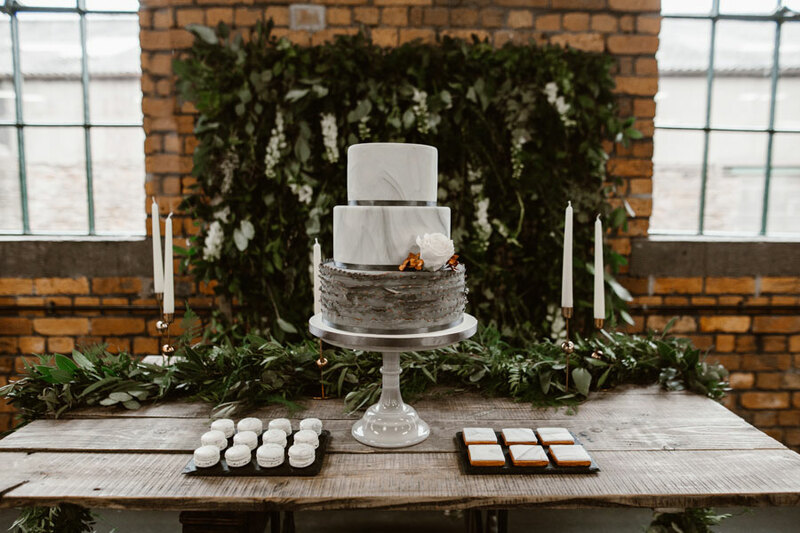 The Cakes and Favours: The cakes and favours from Cherry Blossom Cakes were an absolute work of art. 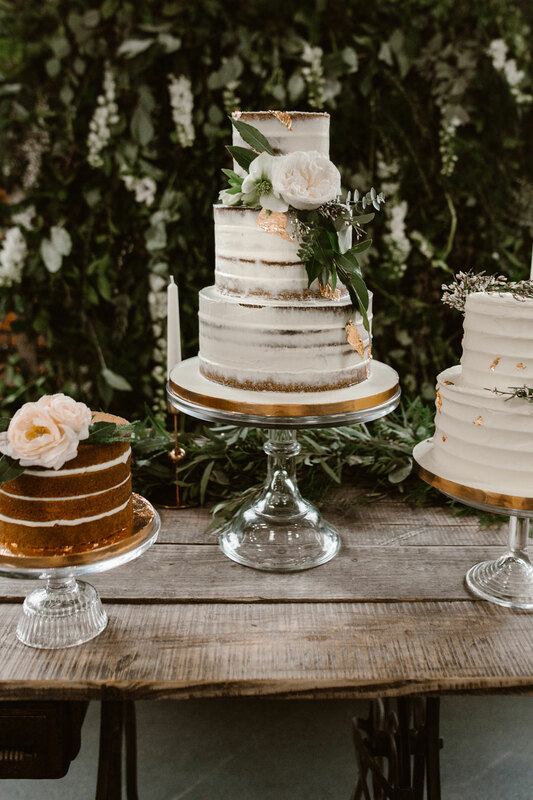 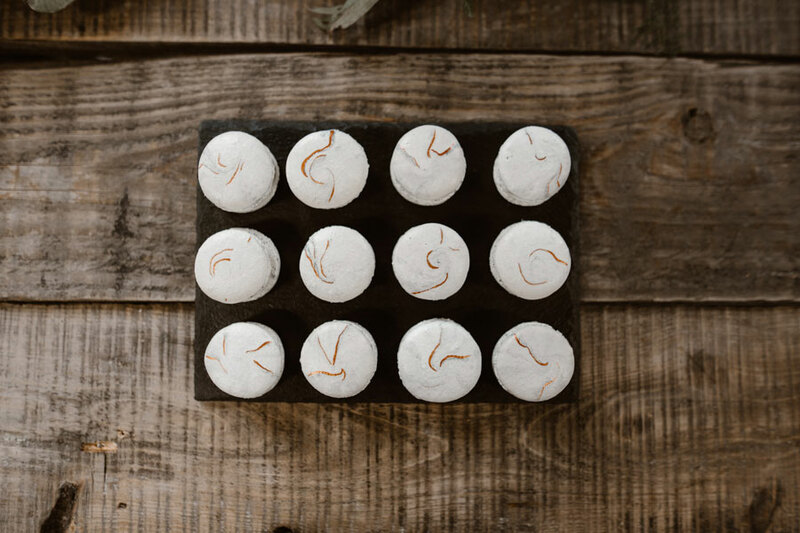 The delicate marble-effect macarons and the perfectly formed marble-topped shortbread edged in copper again exceeded our expectations and the trio of cakes was quite honestly, magnificent. 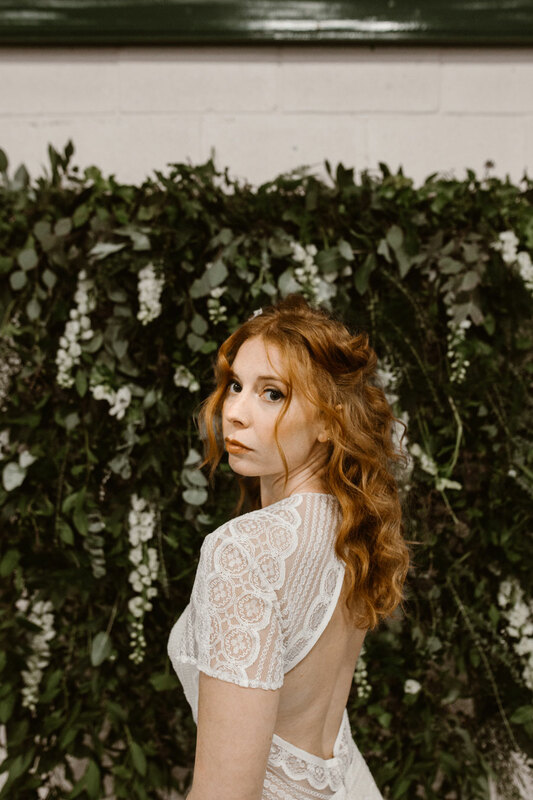 Last words…… The day of the shoot was so good, everyone worked together really well, and the atmosphere was so much fun. 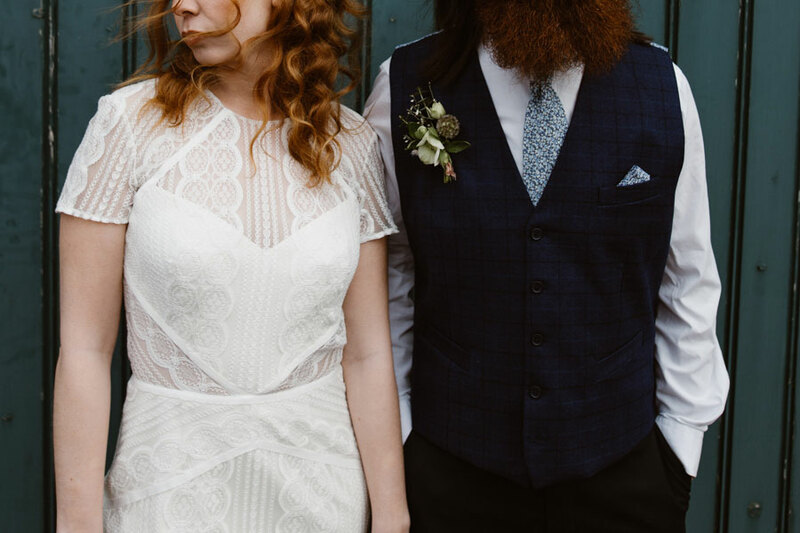 We definitely all worked our butts off… but we had a little dream team on the go. 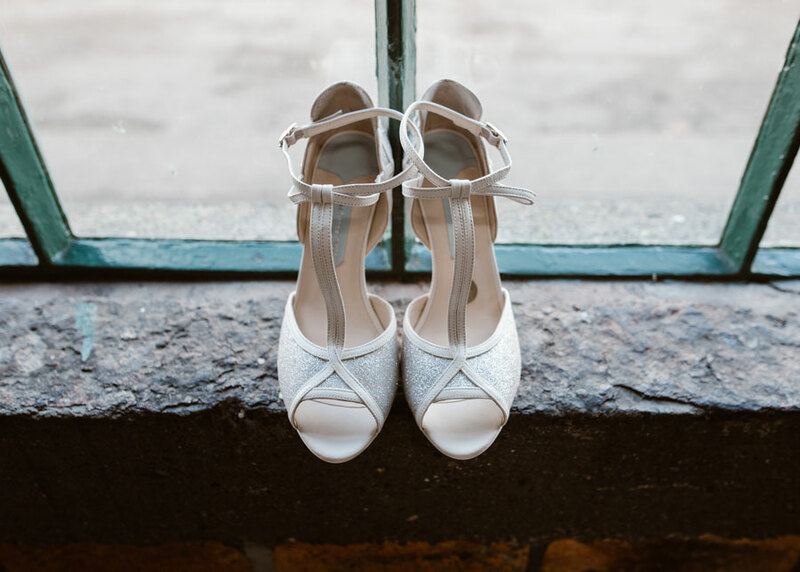 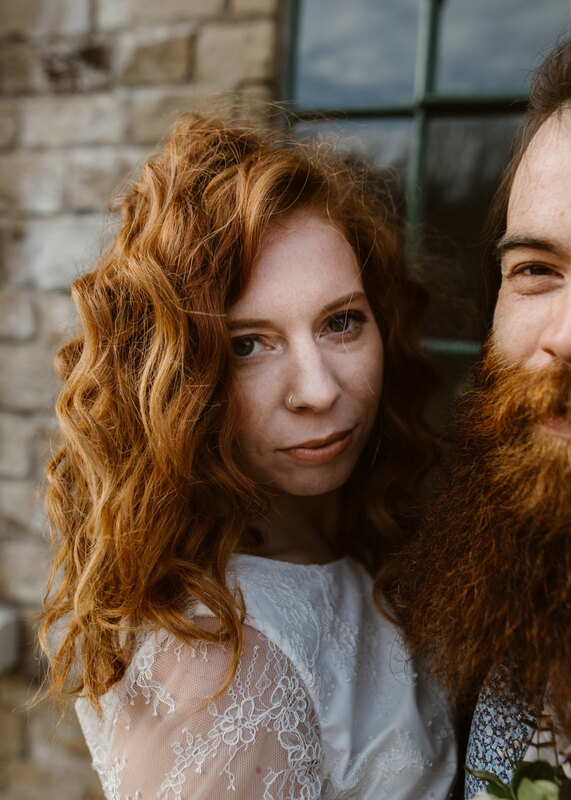 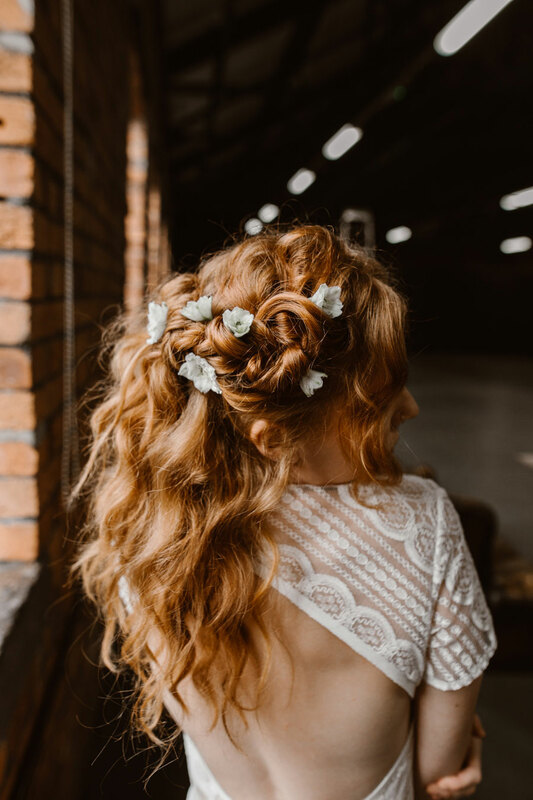 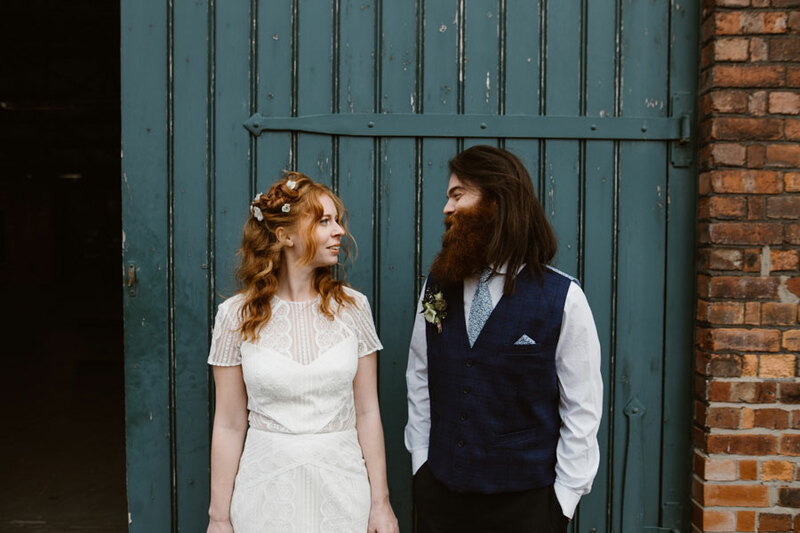 Thank you so much to the talented team for sharing their gorgeous urban, boho-inspired wedding shoot. 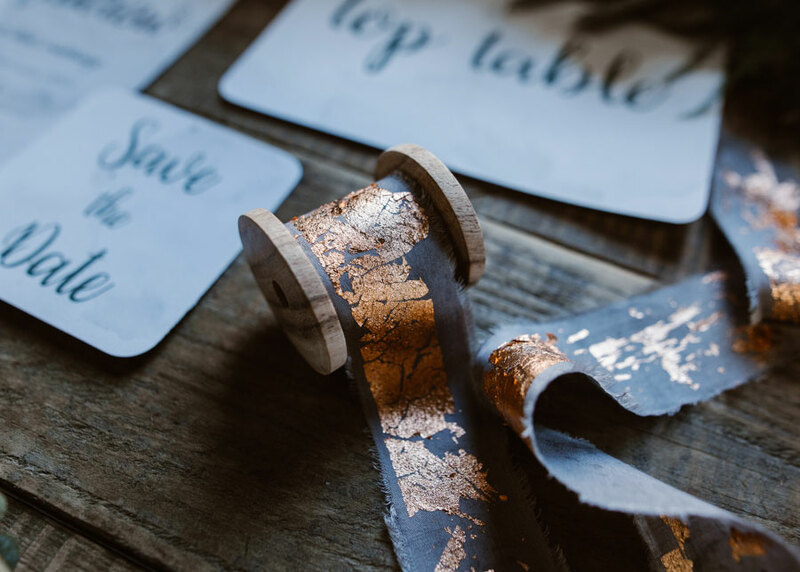 I am obsessed with the copper leaf and adore the colour palette chosen. 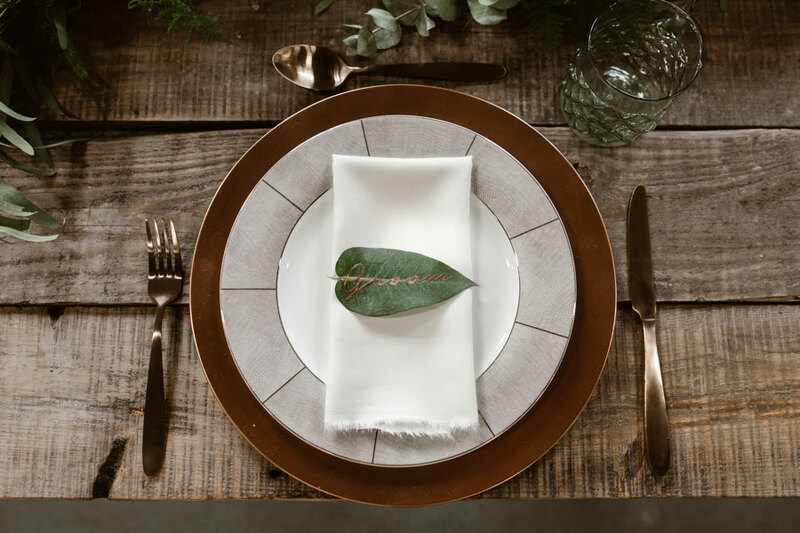 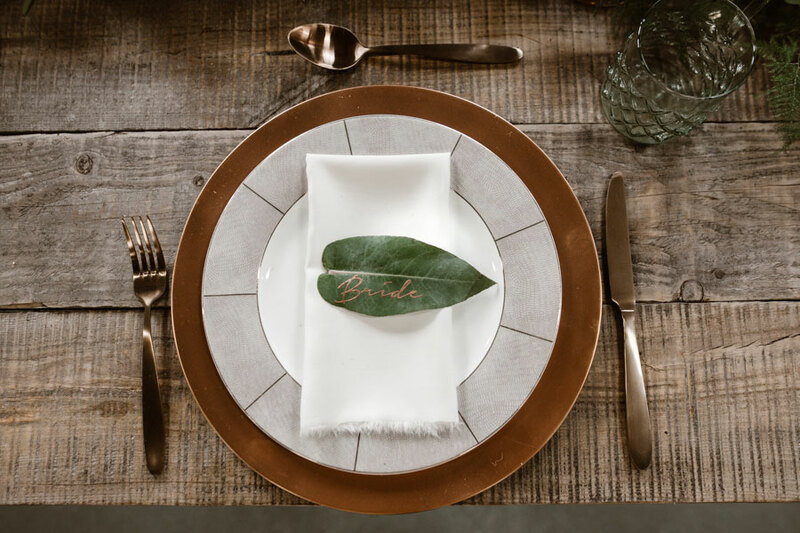 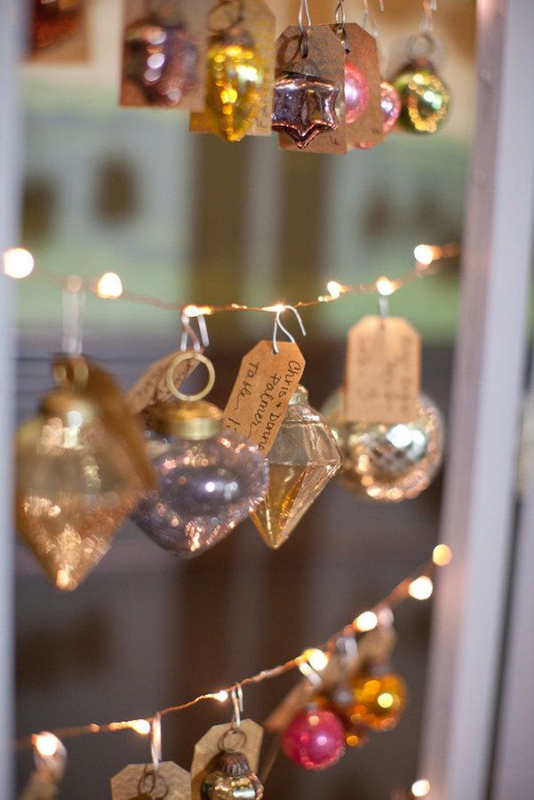 Love to see copper used in weddings? 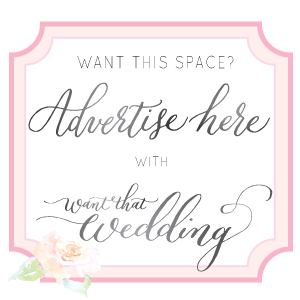 You must see these posts too. 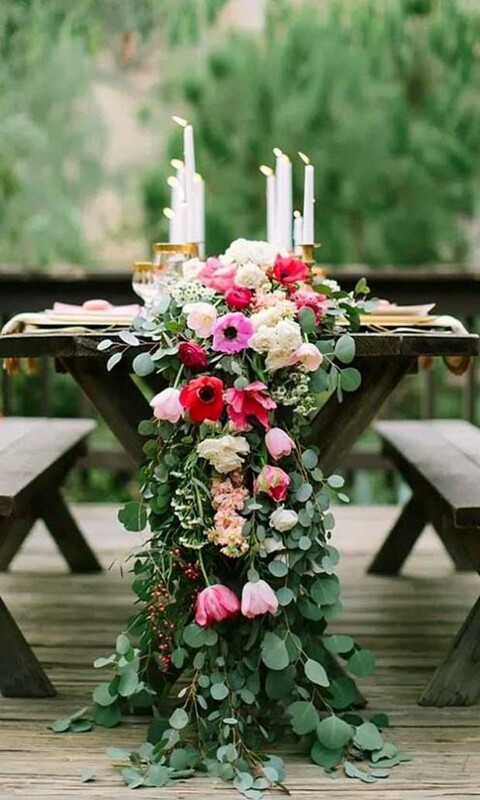 I love the simplicity of the table decorations Agnes! 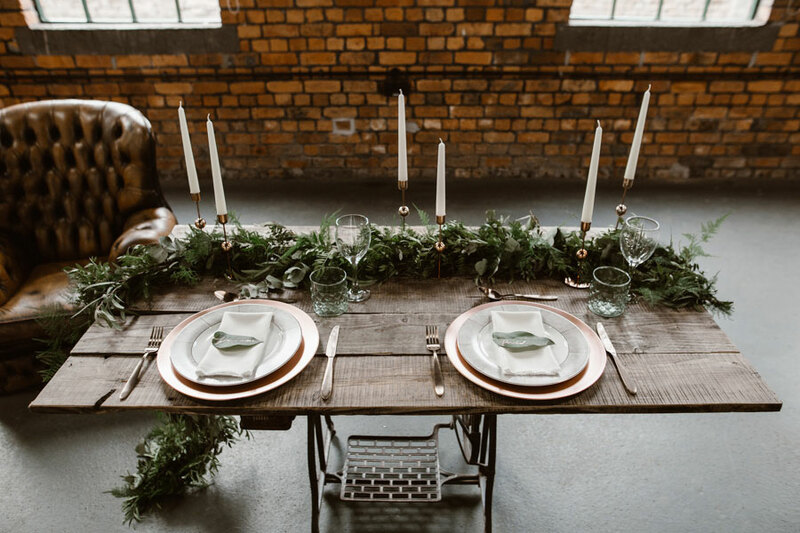 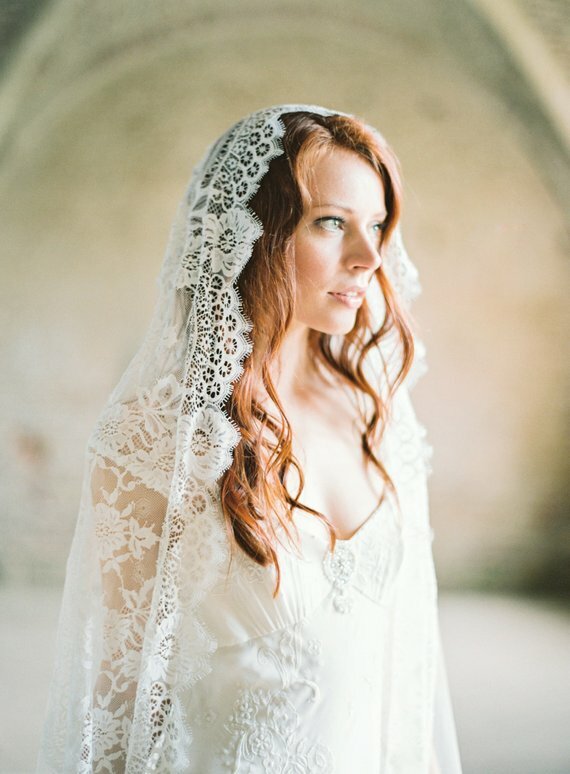 Awesome styled shoot!